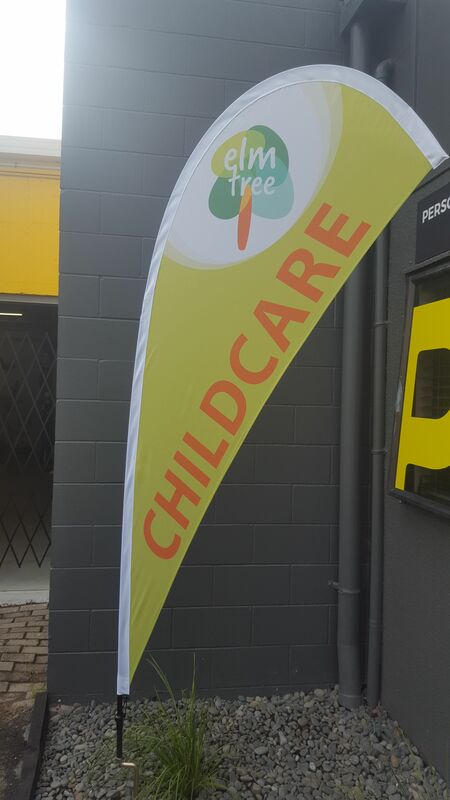 This is a great example of a good quality teardrop flag recently produced for Elm Tree Childcare. Their beautiful, purpose built daycare centre welcomes all children from 3 months to 5 years of age. Elm Tree's child-centred learning programme is based on the New Zealand Early Childhood Curriculum; Te Whāriki.